Pamela Long, proprietor and Principal Broker of East Coast Inn Brokers has specialized in the sale of fine lodging and dining properties for the past 16 years. Pam earned a BA in Philosophy with a minor in Art History from Connecticut College in 1980 after which she worked in the family real estate business for 17 years. During that time, she was one of the top five residential sales people in Southern Vermont and handled all the advertising and marketing for the family business. In the fall of 1997, Pam joined the nationally acclaimed Inn consulting firm of Oates & Bredfeldt. At Oates & Bredfeldt, Pam worked as the Transaction Manager overseeing close to 30 Inn sales all over the eastern seaboard. Her area of expertise was seeking out Inn financing sources and helping buyers put together business plans to obtain the best available financing terms for their particular Inn acquisition. 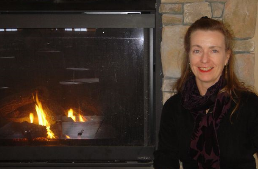 In January of 2000, Pam joined the Hearthside Group, hospitality business brokers handling the sale of 20 hospitality properties in Vermont and New Hampshire over a span of 10 years. Between the spring of 2008 and 2010, Pam obtained real estate licenses in Massachusetts and Maine in order to handle the sale of Inns in a wider market, particularly New England’s coastal resort areas. In November of 2010, Pam left the Hearthside Group to start her own company, East Coast Inn Brokers, which is now licensed in Vermont, New Hampshire, Maine, Massachusetts, Connecticut and Rhode Island. Pam lives in Brattleboro Vermont with her husband, Richard Foley, a college professor at Keene State College. Pam’s interests include cooking, gardening and studying ancient civilizations and alternative theories of the origins of religion and mythology. Pam is a strong supporter and advocate for locally grown, organic Non-GMO food, naturopathic medicine and homeopathy and alternative cancer treatments. Pam has served on the boards of the Brattleboro Museum and Art Center, The New England Coalition on Nuclear Pollution and the Brattleboro Tennis Club. Pam is an avid tennis player playing on numerous USTA League Teams that regularly compete in the New England District and Sectional Championships.